1.1.1 Do you want to combine your trip to Thailand with Vietnam, Cambodia, Myanmar or other destinations? Thailand is a popular touristic destination whose country of smile and hospitality. However, Thailand is not only about Grand Palace, Phuket or Pattaya; there are so many unknown amazing places and interesting cultures that you might have not known. It is what we would like to show you. Let’s break traditional routes and go with us. Just tell us your ideal trip, then we will make your customizing trip. You could decide what kind of trip you prefer to make. Any change, special details are possibly arrangeable to create your Thailand dream trip. Besides, there would be no surprises when the final price with all the services are already included. We would like show you all aspects of Thailand: culture, gastronomy, history, local contact and dreamy beaches. You are the protagonist of this trip to Thailand. Tell us what kind of experience you want to have and we will take care of everything. Let us make your trip to Thailand as an unforgettable memory. Do you want to combine your trip to Thailand with Vietnam, Cambodia, Myanmar or other destinations? Are you considering traveling to Thailand for the first time? Have you already known this country? Do you want to experience Thai culture in a deeper and different way? We are going to show you some of the essential places you should not miss on your trip to Thailand. A country full of surprises and we are sure that you will fall in love since the first moment. The capital of Thailand is one of the most exciting capitals in the world where history, culture, modernity and tradition come together in perfect harmony. Visit floating markets, learn the art, architecture and history of Thailand through visiting the famous Grand Palace, sailing in a boat along the Chao Phraya River observing local life or tasting the authentic local Thai food are some of its attractions. 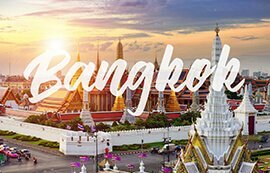 For lovers of nightlife, Bangkok is also known as the city that never sleeps. 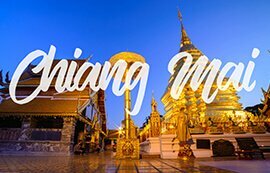 Chiang Mai is known as the Rose of the North and is the second most popular city in Thailand. Although it is the second largest city in the country, it still retains its authenticity and tradition of hundreds year ago. Trekking through ethnic villages, elephant sanctuaries or adventure sports in the middle of the jungle are some of the many offers in Chiang Mai trip, a city surrounded by spectacular nature, will make your stay become one of the best experience of your Thailand trip. Sukhothai, the first capital of the ancient kingdom of Siam, should be a mandatory stop on your trip to Thailand. The Sukhothai Historical Park, a World Heritage Site by Unesco, gathers the most spectacular ruins of the ancient kingdom, more than 800 years ago. Twinned with the archaeological site of Ayutthaya, Sukhothai is better preserved and much quieter. Ideal for cycling. A magical place with an impressive history. Ayutthaya is located 85 kilometers from Bangkok. Very close to the current capital of Thailand, it is offered as a day trip from Bangkok. It is also a perfect option as a stop on your trip to northern Thailand. 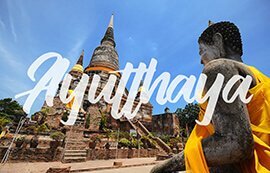 If you are considering Ayutthaya within your trip to Thailand but you still do not have a clear itinerary, we are going to show you some of the most representative places that this city has to offer. Besides the places that you should not miss in Thailand, there are countless other destinations with lots of charm and a lot of activities. In case you have enough days of travel, do not hesitate to visit these other places that we show you below. We are sure that you will enjoy them to the fullest. 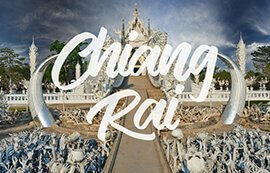 Chiang Rai is the furthest northern city in Thailand. The point is known as “the golden triangle“, where is intersection of 3 countries, Laos, Myanmar and Thailand. A city that has been awakened in recent years as the birthplace of artists with several points of interest that stands apart from the typical visits to temples and pagodas such as the Wat Rong Khun (White Temple) or the Black House. Kanchanaburi, a small town in the west of Thailand, was one of the most important points of the country during the Second World War. With a spectacular natural environment, Kanchanaburi is the place where the famous bridge over the river Kwai is located. Beyond the construction itself, the recent history of the place make it a more interesting visit. On the way to the north of Thailand, Lampang surprises us with its tranquility which still remains a lot of influence from the ancient Lanna kingdom. This influence is very easy to be recognized in architecture and local art. If you are planning a trip to northern Thailand, do not forget to include a stop on the way to discover this curious city by horse carriage. 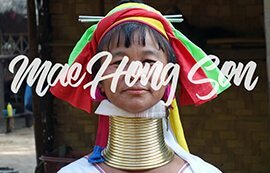 Mae Hong Son is the farthest destination in Thailand, on the border with Myanmar. A tranquil place of barely 8,000 inhabitants, perfect to enjoy a few days in the middle of nature. The great highlight of the area are trekking trips to discover the ethnic minorities and the architecture with Burmese influence of the people. A place away from mass tourism and still preserves its authenticity. The ideas of staying in the most popular beach destinations or go to a more remoted island is not as simple as we think. It will depend on the type of travelers you are. Thailand offer all kinds of beach destinations. We would like to recommend some of the best beaches in Thailand. The island locating about 70 km far from Krabi, is a perfect place to escape the chaos of the city and enjoy a few days of absolute tranquility. Until a few years ago, it had been characterized as a destination mainly adventurous and low cost. Currently, it is easy to find services and accommodation for all tastes and budgets. 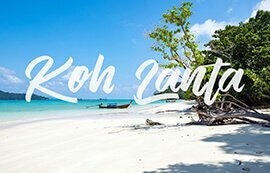 Koh Samui is a well-known island in Surat Thani province, to the south of Thailand. It is the largest island in the Gulf of Thailand and the third largest in the country. Therefore, it is very easy to find all kinds of services and leisure options. 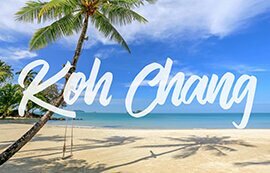 The best plus point for Koh Samui is Samui international airport which make your journey more convenient. Another of our favorite destinations if you are looking for tranquility and paradisiacal beaches. A small island in the middle of Hat Chao Mai National Park, in Trang province. If your choice is this, you must bear in mind that the best time to visit it is from November to April because, in this way, we avoid the months of rainy season. 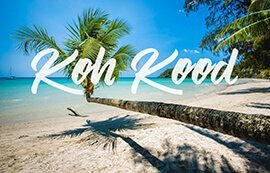 Koh Kood, another magical destination. It is located in the Trat province, west of Thailand. An island of ambience to find the perfect relax at the end of a trip. 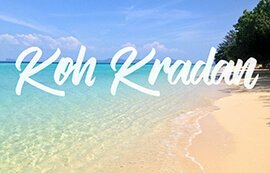 Although it is a small and quiet island, Koh Kood offers many activities during the day. Snorkeling, kayaking or daily excursions to the jungle visiting waterfalls, all will make you impossible to get bored. 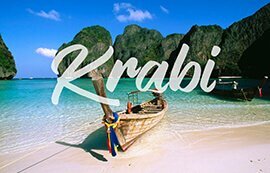 Krabi is one of the most popular destinations in Thailand, which locates in the south of the country, we could find spectacular beaches. Ideal for the travelers who want leisure options and variety of activities. The most famous beaches of Krabi are Railay, Aonang and Tubkaek. Do not miss the most outstanding excursions from Krabi: the 4 islands, Koh Hong and Koh Phi Phi. Known as “The Maldives in Thailand” is one of the most beautiful islands in the south of the country. Koh Lipe is part of the National Marine Park of Koh Tarutao. Being near the border with Malaysia, it is an ideal place for lovers of diving or snorkeling as it has an impressive seabed. 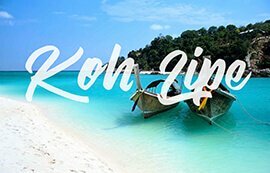 The best time to visit Koh Lipe is from November to April, also being the high season of tourism. Koh Chang is the largest island in the Gulf of Thailand, 5 hours driving by car from Bangkok. It is a nice option for those travelers with tight budgets. An island with countless activities to spend several days: beautiful beaches, trekking, waterfalls, elephants or kayaking are some of the offering options. Do not miss change to escape crowded city to visit some of the many lovely islands on day trips. 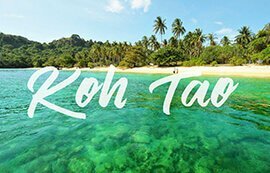 Koh Tao is the favorite place for scuba diving and snorkeling travelers. Its turquoise waters and coral reefs accompany a variety of marine life. In Koh Tao, it is easy to find many diving courses that even give you the official diving certificate (PADI). You can get your diving license after a fantastic course at an affordable price. Just ask us! Everyone knows that Thai cuisine is world-renowned for its aromas, special textures and the mixing of flavors. The elementary flavors of Thai cuisine are sour, sweet, salty and spicy. In addition, spicy is the common denominator of Thai cuisine. One of the first images that you will recognize upon arrival in Thailand is the plenty of gastronomic options. Thus, it is common to find street vendors selling exotic food all day and also all night long. Normally, Thai eating behavior culture is based on sharing. Thai people eat together and share dishes that are placed in the center of the table and each one is taking their portion of food. Although the food tends to have very strong flavors, most of Thai dishes are served with rice to blend the flavor. Enjoy Thailand also with amazing tastes! Every trip to Thailand is linked to gastronomy. 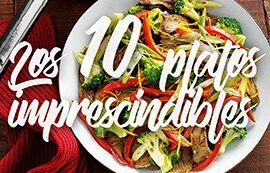 That’s why there are certain dishes that you can not stop trying. Do you want to know our ranking of Thai delights? We tell you everything. Do you prefer that we organize a gastronomic trip to Thailand? Tell us! Suitable only for brave palates. 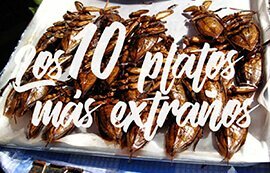 We bring you the selection of the strangest dishes you can find in Thailand. From One More Destination, we recommend you be brave and not judge the food by its appearance. Here goes our selection! Soon we will have a new entry about the best restaurants in Bangkok. As the best-known destination in Southeast Asia, Thailand has a lot to offer. Thailand is developing and is influenced by westernized culture, even so, it still maintains its own traditional culture. Although its inhabitants are very accustomed to tourism; however we should be careful with our behavior, especially at common and sacred areas, as they could hurt their sensibility. It is important to keep in mind some points before starting your trip. There is not a fixed time to travel during the year to Thailand depends on your destination. We should take into account the differences between regions, for example, the climate in the north and in the south is totally different. The islands in the Gulf of Thailand and those in the Andaman Sea vary widely according to seasons. There is no vaccine required to travel to Thailand if you are Spanish. 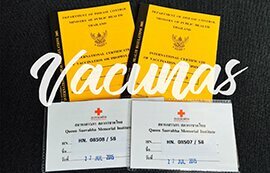 If you are from Latin America, it is necessary to have a yellow fever vaccination certificate. However, One More Destination always recommends vaccination of Tetanus, Typhus and Hepatitis A and B. It is important to check that all are up to date to avoid a small detail ruining the trip. The official currency in Thailand is Bath (THB). The exchange rate is 1 EUR = 35-40 THB and ratio between USD and THB is 1 USD = 30-33 THB. Variable rate depends on the market fluctuation in each moment. 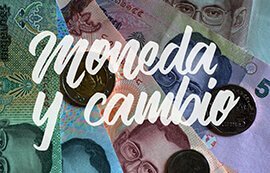 You can change your money in many places at the airport, banks and exchange offices in tourist areas. The best option is the banks and the official exchange offices. Citizens of the European Union are free visa to enter Thailand. 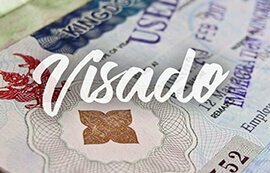 Most of citizens from Latin America, Argentina, Brazil, Peru and Chile do not need a visa to enter. For the other countries, we recommend to contact Thai embassy or consulate in your original country and, if necessary, to process the visa from your country before traveling. There are many ways to travel in Thailand. All of them have both advantages and disadvantages. It is true that a bus is much cheaper than a flight; however you should count the discomfort and hours of travel; moreover it is trade off with loss of travel time. The advice is to combine all possible means of transport to have a unique experience of the country. It is very famous means of transport that the traveler should try. A unique experience on your trip to Thailand that, if you do not follow our advice, you regret. It is advised for you to negotiate the price before getting in the tuk tuk. In addition, in many areas, the driver insists on stopping at one of the souvenir shops to force you to buy. Be strong and do not give up. 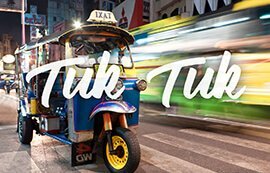 In case of refusing the transfer, a new tuk tuk will appear ready to accept. The railway infrastructure in Thailand is in good quality. 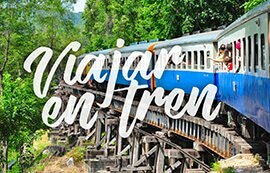 Especially the Bangkok-Chiang Mai route being one of the busiest, offers good condition and comfortable trains. In any case, it is important to check schedule and distances to travel before making the decision. Although the train experience is very interesting, the distances are long and it may not be worth losing so much time when you can get affordable flights. 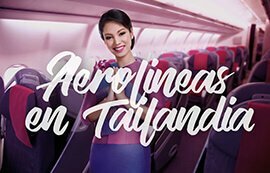 There are plenty of flight options in Thailand, both regular and low cost airlines. It is important to know the quality and price of each offer. From One More Destination’s point of view, we always book flights with trustful airlines. Only in specific cases, we may consult with the traveler before booking with low cost airlines. 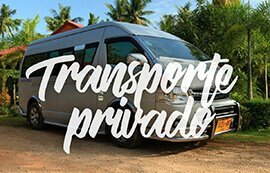 The most common means of transportation for travelers is private transfer, which is simple and comfortable. When visiting a country like Thailand, the private car with driver will give you more advantages than many other means. You just choose where and when to stop, spend your time in each visit without worrying about schedules or waiting. From OneMoreDestination, we want to give you the best tips to travel to Thailand, and that is why in this section we will be publishing our latest articles so you do not miss details, news, good advice, destinations and much more. Do you want to travel to Vietnam? Discover all that Burma hides!